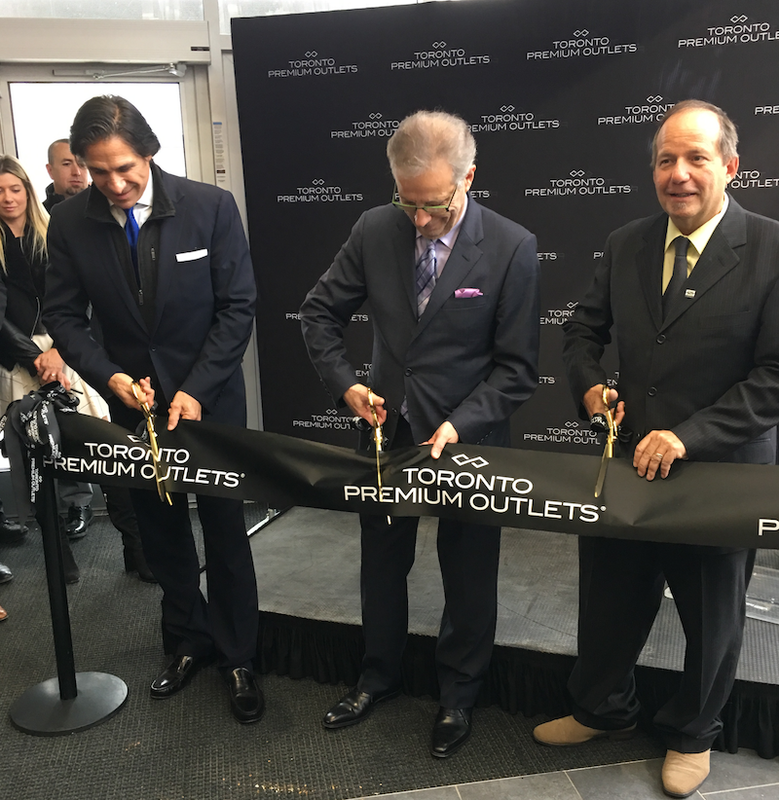 Landlords Simon and SmartCentres have officially opened the 144,000 square foot expansion of the Toronto Premium Outlets centre in Halton Hills, which now features several first-to-Canada luxury outlet stores. The centre, which opened to the public a bit over five years ago, is now more in line with some of the best outlet centres internationally, including those that feature a roster of luxury brands. The expansion brings the busy outdoor centre to just over 500,000 square feet of retail space, which opened in August of 2013 and has been adding new retailers ever since. The expansion was made possible by adding a wing on the north side of the centre. In December of 2017 in anticipation of the expansion, the centre opened a five-level parking garage that features red light/green light technology so that motorists can find spaces with relative ease. Ribbon cutting on the morning of Thursday, November 15. Photo: Yana Brikker. About 40 retailers have been added to Toronto Premium Outlets with the new expansion, which includes a mix of fashion/accessory as well as fast-casual food offerings. There are also family-friendly amenities as well as a new guest services centre with pedway access to the multi-level parking facility, as well as new high-speed WiFi. At the grand opening of the centre’s expansion wing on November 15, the landlords revealed that the centre is one of the “top five or six centres in the country” in terms of sales per square foot — that means the centre’s productivity is well over $1,000 per square foot annually, which should see a spike with the addition of new super brands such as Gucci. The impressively large Gucci store had the longest lineups by far on opening day, and there were lineups at the cash desk as discounts of 30%-50% were seen throughout the store. The Gucci outlet features a full range of ready-to-wear, footwear and accessories for both men and women, and it even included a range of evening gowns found typically in larger full-priced Gucci locations. Yana Brikker in the new Gucci outlet, as well as Versace in the photo lower-right. Photo: Yana Brikker. Several other luxury brands have either opened stores in the centre, or will be doing so within the next few weeks. Saint Laurent was a surprising addition — the luxury brand’s outlet wasn’t open yet as of November 15, but the store appears to be almost ready. A large Prada outlet store also wasn’t open yet and when it does, it appears that it will be nearly as large as Gucci. Prada and Saint Laurent’s outlets are both the first for the brands in Canada. A Versace outlet was also busy though with considerably shorter lines than Gucci. Both Italian brands are hot right now and are doing billions in sales globally. Other new luxury brands now open at the centre include Montblanc and Max Mara. They join other luxury brands such as Burberry, Hugo Boss (relocating in the centre), Jimmy Choo, Movado and Ports 1961. No other outlet centre in Canada has as many luxury brands on offer as Toronto Premium Outlets (though centres in Montreal and Vancouver could if they continue to add luxury retailers). The Toronto centre, smartly enough, promotes Chinese tourism and is seeing an influx of bargain-seeking consumers. 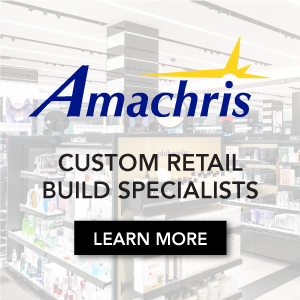 Other notable new stores at Toronto Premium Outlets include Aritzia (very first outlet), Matt & Nat, Mackage, Arc’Teryx, Zadig & Voltaire, Call it Spring, L’Occitane, Old Navy, Peoples Jewellers, Scotch & Soda, and several others. Some are first-to-Canada outlets. Toronto Premium Outlets’ first full-service restaurant, Madisons Restaurant and Bar, is located on the northwest side of the property across from Starbucks. There are also new fast casual and grab-and-go offerings including Cultures, Cacao 70, A&W, Real Fruit Bubble Tea and DAVIDsTEA. Toronto Premium Outlets now boasts more than 130 retailers and more than 3,000 parking spaces. The centre attracts millions of visitors annually and employs more than 900 full-time staff. The Centre is Halton Hills’ largest property taxpayer, and the Mayor and several councillors were also present to celebrate the grand opening on Thursday. The luxury brands added to Toronto Premium Outlets puts it more in line with some of the premium outlet centres found in the United States, such as the Desert Hills Premium Outlets in Cabezon California, Fashion Outlets Chicago, or Woodbury Common Premium Outlets near New York City. There’s room for several other retailers in the centre and retailers such as Maje are also expected to open in the centre within a few months time.